Balck Ultra Strong Hairspray 750 ml. Professional, salon quality Lacca Hairspray provides long lasting shine and healthier looking hair. Strong Fixing hair spray with long lasting hold. Excellent protection against humidity. Does not weight hairstyle down and can be easily removed by brushing, leaving no residue. How to use: spray on dry hair from a distance of 30 cm. Black Strong HAIRSPRAY 750 ml. 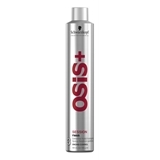 Instantly volumizes thin hair for noticeably fuller hair. Provides weightless strength to fine hair. Provides extra volume and flexible hold for any hairtype. Leaves hair manageable and silky with extraordinary body. Paul Mitchell Express Style Round Trip. Conditions and protects textured tresses, and adds weightless bounce and detail to curls and waves. Styling agents derived from cornstarch add weightless detail. Panthenol and magnesium sulfate condition, protect and strengthen curls. Reduces drying time to get you on your way faster. Use: Protect clothing prior to application. Apply a small amount to palms, working evenly through damp or dry hair. Style as desired. Paul Mitchell Extra-Body Finishing Spray Secures hard-to-hold hair, fights frizz, boosts volume and adds shine. Panthenol and hydrolyzed wheat protein build body and provide a bodifying boost, so hair looks and feels thicker. Dries instantly without flaking or stickiness. Use: Spray onto finished style. If nozzle clogs, rinse under warm water. Paul Mitchell Extra-Body Firm Finishing Spray 300ml. Provides all-day hold and maximum volume with high shine, fullness and texture. Thickening ingredients grip every strand for enhanced volume and texture. Fights frizz in any climate. Use: Spray onto finished style. If nozzle clogs, rinse with warm water. Paul Mitchell Extra-Body Sculpting Foam Creates lightweight body and volume for fine hair, adding flexible control, amplifying shine and locking in moisture. Conditioning formula provides extra body, fullness and control, while super-emollient ingredients leave hair manageable and shiny. Preps hair for a gorgeous, full-body blowout. Use: Shake well. Dispense upside down. Protect clothing prior to application. Distribute evenly throughout hair. Style as desired. Paul Mitchell Firm Style Freeze and Shine Super Spray. Provides powerful hold and memory, and creates a shiny finish. Firm-holding styling ingredients lock in your look. Excellent for medium to coarse hair types. Use: Spray onto finished style. Paul Mitchell Firm Style Super Clean Extra. Provides firm hold, boosts body and adds shine. Firm-hold stylers and conditioning ingredients add fullness and shine. Dries fast for quick and easy styling. Use: Spray on dry hair. To create maximum body, lift hair and spray close to the scalp. If nozzle blocks, remove and rinse in warm water. Paul Mitchell Kids Taming Spray. Easily detangles dry or damp hair. Leaves hair fresh and full of body. Smoothes static and helps control children's "morning hair." Use: Apply to damp or dry hair. Style as desired. Do not rinse. Paul Mitchell Lemon Sage Thickening Spray Pumps up skinny strands and grips fine hair for added control with a fresh, no-product feel. Panthenol and thickening ingredients add volume, while high-performance styling resins provide control. Directions of use: Spray onto clean, damp hair. Do not rinse. Style as desired. OSIS+ Freeze - stipras fiksācijas matu laka 300/500 ml. Noturīgs matu sakārtojums +Tulītēja fiksācija +Ātri žūst +Nesalīp +STIPRA fiksācija. Lieto uz sausiem matiem. Izsmirdzina matos aptuveni no 30 cm attāluma. Flakons pakļauts spiedienam: sargāt no tiešas saules staru iedarbības. Nepārdurt un nededzināt.Viegli uzliesmojošs. Sargāt no bērniem. Nepieļaut produkta nokļūšanu acīs vai elpceļos. Lietot tikai atbilstoši produkta mērķīm. 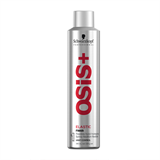 Schwarzkopf PROF Super Strong Hairspray 500 ml. Silhouette Super Hold Hairspray 500 ml.